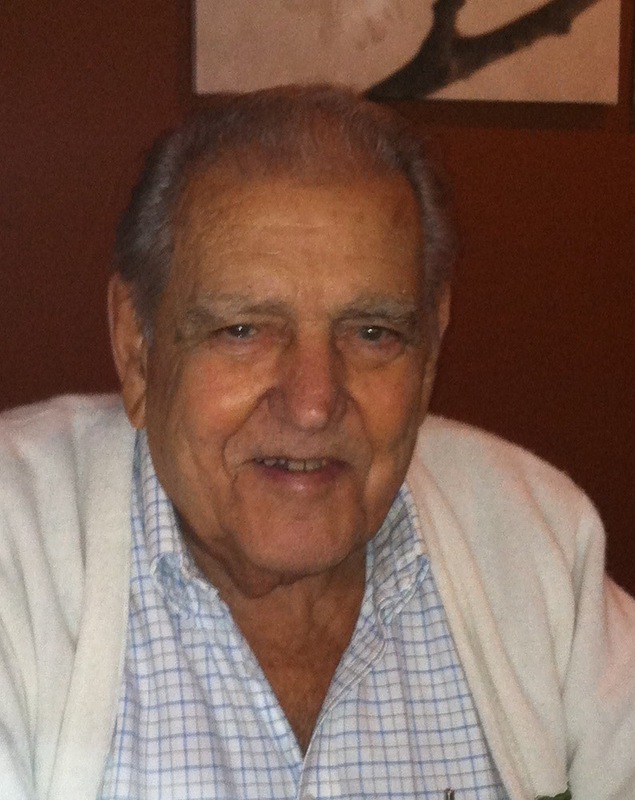 Carl R. Cronin, 90, of Fremont, OH passed away on Wednesday, March 21, 2018 at Stein Hospice in Sandusky. He was born on October 26, 1927 in Fremont to Carl W. and Lila (Ireland) Cronin. He was a 1945 graduate of Fremont Ross High School. Carl served in the U.S. Army from February 26, 1946 to September 3, 1947 and was awarded the WWII Victory Medal. He married Elizabeth Partee on January 24, 1948 and she preceded him in death on November 4, 1988. Carl started out as a Union Carpenter in Cleveland, OH. He was a contractor for Cronin Builders for many years. He also owned and operated the Double A Motel and Lounge. Carl was a member of St. Ann Catholic Church, a sixty-six year member of the Elks Lodge, a member of the Eagles, Knights of Columbus and Demars Point Hunting and Fishing Club. He served as a Sandusky Township Trustee for eighteen years. Carl enjoyed hunting, fishing and golfing. He was a very compassionate person and a loving son, father, grandfather and brother. Carl is survived by his children, Michael J. Cronin, Ft. Myers Beach, FL, Doug Cronin, Fremont, Cathi (Tom) Laurer, Port Clinton and Tina Eicher, Fremont, OH; siblings, Sally Matzek, Guyman, OK, Jerry (Donna) Cronin, Bucyrus, OH, Larry (Karen) Cronin, Fremont, OH; daughter-in-law, Karen Vargo, Fremont, OH; companion, Evie Schlegel, Fremont; eleven grandchildren; ten great grandchildren and two great-great grandchildren. He was preceded in death by his parents; wife, Elizabeth Cronin; son, Dennis “Cootie” Cronin; sisters, Bernice (Ed) Koebel and Jane (Dale) Enders. The family would like to thank Stein Hospice for providing love and support to Carl and his family. Mass of Christian Burial: Monday, March 26, 2018; 10:00 a.m. at St Ann Catholic Church, 1021 W. State St., Fremont, OH. Burial: St. Joseph Cemetery with military honors provided by the American Legion and V.F.W. Much sympathy to the Cronin family! May God guide you through this time! Our Prayers Are with you! Rest in peace Uncle Carl! Love to you all. Love, hugs, and prayers. I will miss his wonderful smile and handsome face. He had a gentleness and sweetness about him. God bless you Uncle Carl. May you rest peacefully now in God’s arms. am deeply sadden that I won’t be there to play Taps for him. It would be en honor. Still in Florida until April…..
Am really sorry to hear about your father Mike. Of course I never met him but he raised a pretty good son. Cherish your memories. I’m so sorry to hear about your dad and grandpa. You guys are in my prayers…Love ya both. So sorry for your loss. Carl was a very sweet and caring person. I have lots of wonderful memories of our times together with Betty. They were the best neighbors ever! Just read this on my phone. So very sorry to hear of your Dads passing. Was just thinking about him a few days ago. Always had a lot of fun with both of your parents. Carl will be greatly missed by all who knew him, he was a gfood husband and Dad. My sympathies to you all. My thoughts and prayers are with ypiu all. Rest In Peace Carl. God Bless. Mike Doug Cathi & Tina and all the Cronin family, I am so sorry to hear about Carl passing away, my condolences and Prayers for all. All the memories i had when i was little with godmother Betty and godfather Carl, May he rest in peace God Bless all of you! Our thoughts and prayers are with you and your family may god bless you!